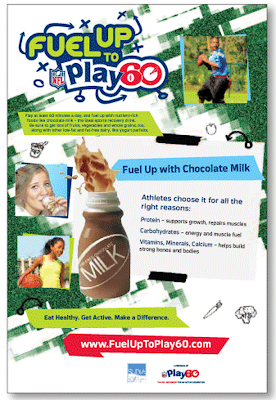 It's called "NFL Play60" and it's supposed to help kids to play each day for 60 minutes and is "designed to tackle childhood obesity". And no doubt getting kids more active is a noble cause and were Play60 actually effective, one that would improve kids' health. Putting aside the fact that I'm unaware of any public health intervention that has led to a sustained rise in kids' physical activity levels, the research to date would suggest that even if one did, although health might improve, weight almost certainly won't. Which is why I find the AHA's involvement so frustrating. While the NFL surely isn't expected to be up on the medical literature that has objectively (using accelerometry) reported that even if kids are 10x as active as their peers their activity doesn't confer protection against weight gain, the AHA certainly ought to be. 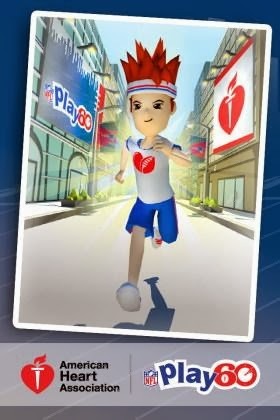 And yet the AHA has just helped in cobranding a smartphone app where, believe it or not, kids are expected to hold their smartphones while running and jumping so as to move an avatar and collect points (fun?). 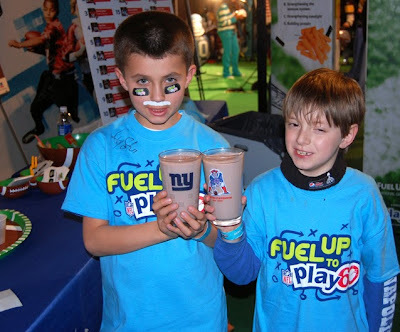 So besides lying to kids about the impact of exercise on weight (and in so doing perpetuate the myth that obesity is consequent to laziness), what else will NFL Play60 do? And with what shall they fuel? Why chocolate milk of course. The perfect beverage to "tackle" childhood obesity given that drop for drop it can contain up to double the calories of Coca-Cola along with 20% more sugar. 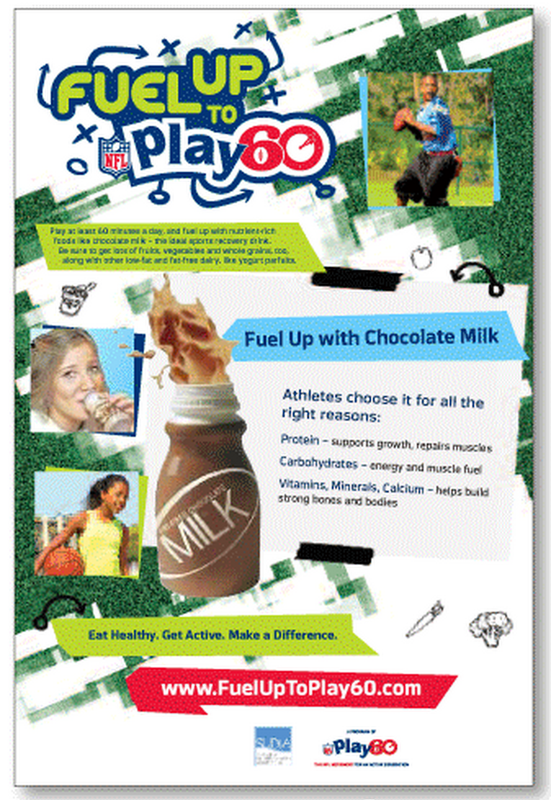 And why might they be promoting a hyper-caloric liquid sugary chocolate bar to help kids tackle childhood obesity? Because Fuel Up to Play60 was co-founded by the National Dairy Council.